Happy New Year! 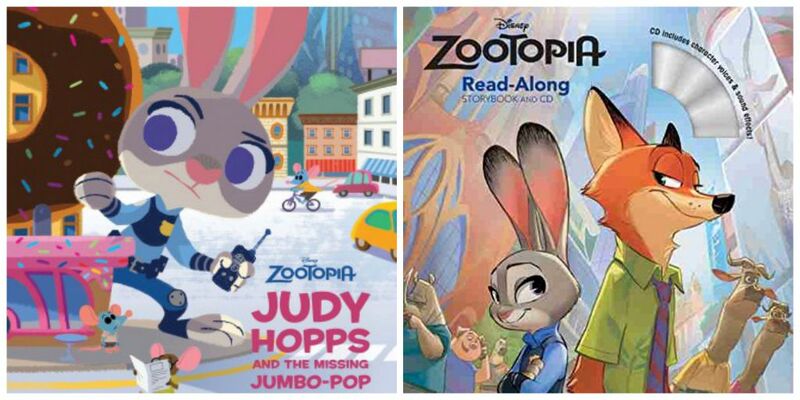 For our first review for 2016, we are so excited to share the newest Disney books for the upcoming movie, ZOOTOPIA! 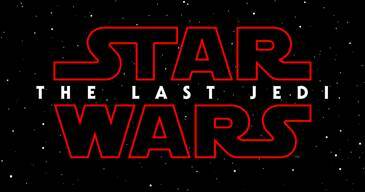 We are so excited for this to hit the big screen. These books are on shelves now and available anywhere you can buy books. Go get yours now – it really will help ease the wait for the release of ZOOTOPIA in March. Officer Judy Hopps is on an exciting case in Zootopia. Her day started out like any other, until she stumbled across a crying elephant who was missing his Jumbo-pop. Hand-in-hand, the two retraced his steps and followed clues across the city. Will this whirlwind tour lead them to the Jumbo-pop before it melts? This 9×12 40-page paper over board Picture Book is based on the Disney movie, Zootopia, coming to theaters in Spring, 2016. 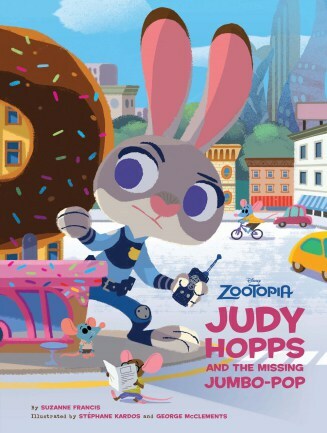 The NDK Review: I really like this book because Judy Hopps is the only bunny police officer in Zootopia. She likes to make the world a better place. She helps direct traffic, but one day she hears somebody call for help. She finds Ernie the Elephant and listens to his story about how he lost his Jumbo-Pop. She decides to help Ernie. There are no humans in this story, only animals. I like the pictures because the art is not the same as the movie – they are cuter! The story is perfect for young children. The words are mostly easy. I think this is a great story for moms and dads to read to their kids! 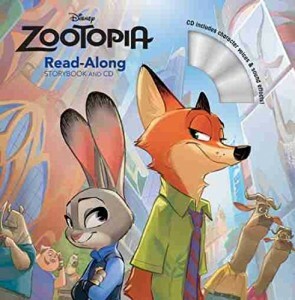 This 8×8 paperback read-along storybook and CD is based on the feature film, Zootopia, which is about a fast-talking fox who is on the run in the animal city of Zootopia, when he is framed for a crime he didn’t commit. The NDK Review: I like these kinds of books because voices are sometimes the same people from the movie! I also like how you can either listen to it, read along with it or just read it by yourself. At first I didn’t understand why foxes were not allowed in Zootopia, because they are animals too. But then I realized they were in the “predator” category. The pictures are just like what I think will be in the movie. 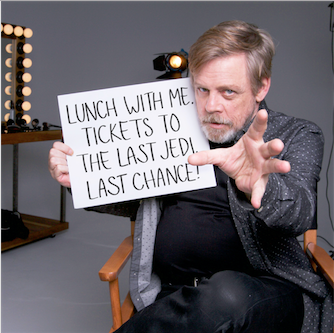 I am excited to see the movie. I love animal movies. It looks like it will be so funny. I think it will turn out to be a great movie. This book really helped me know what the movie will be like!